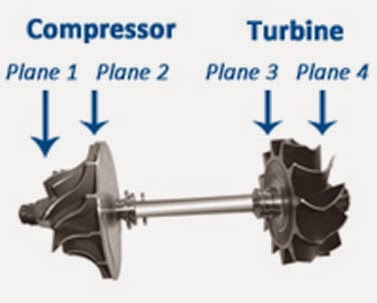 Because of speed and product geometry, the rotor typically behaves as a flexible one. Even if the number of balancing planes is one or two, the situation requires using the OROS multiplane balancing solution. Several speeds are necessary for calculating the correction masses and, for that reason, run ups or run downs are necessary. The operation starts with a study for the validation of the balancing process using the standard solution. Then the second step is typically the integration of OROS instruments in machines for automated production. Take advantage of the OROS solutions and experience for your advanced balancing applications. Contact us!